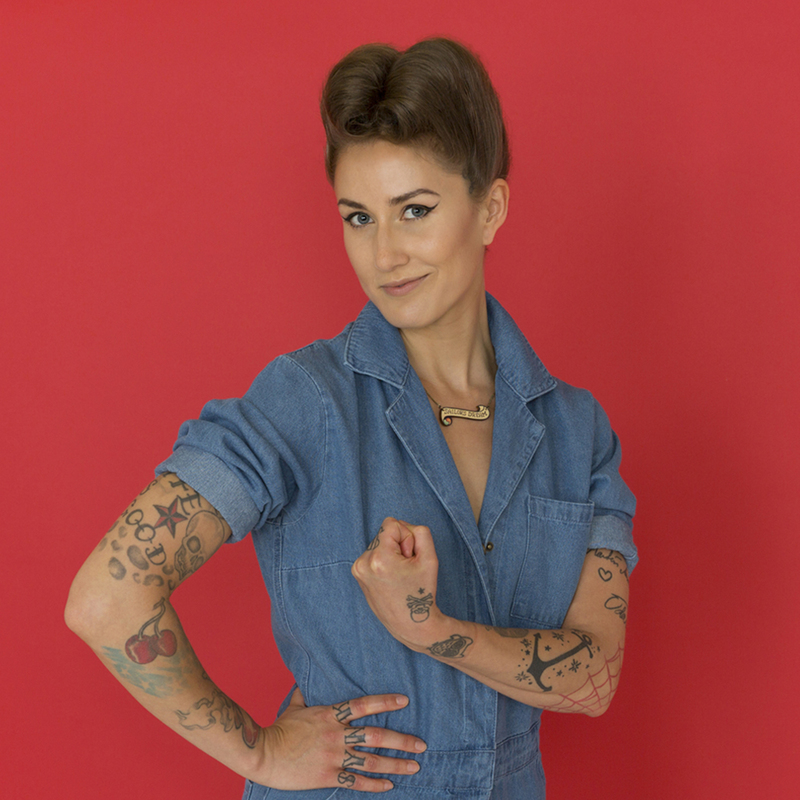 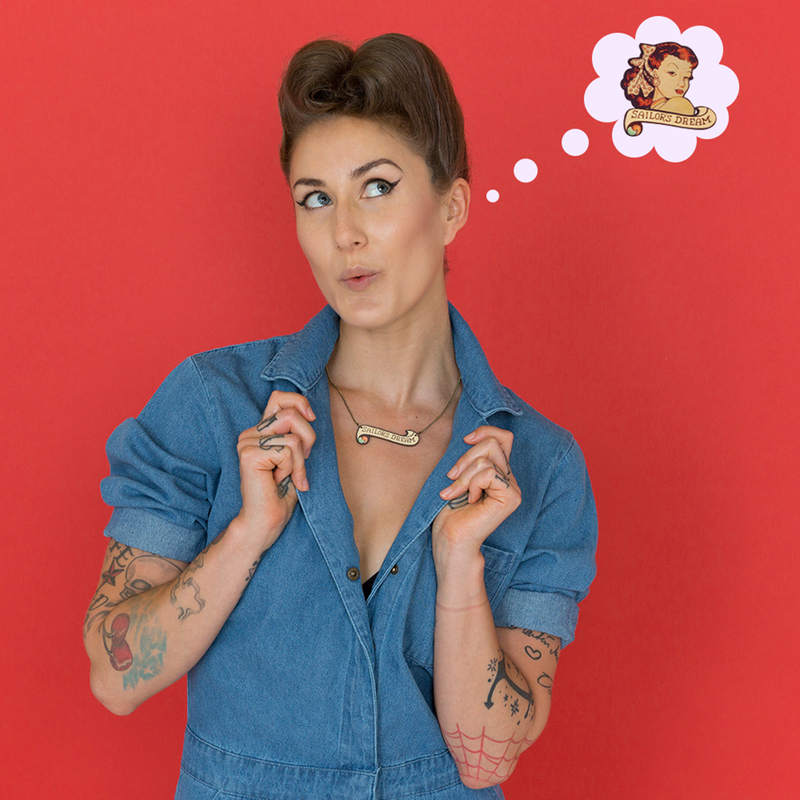 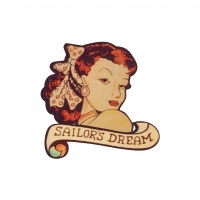 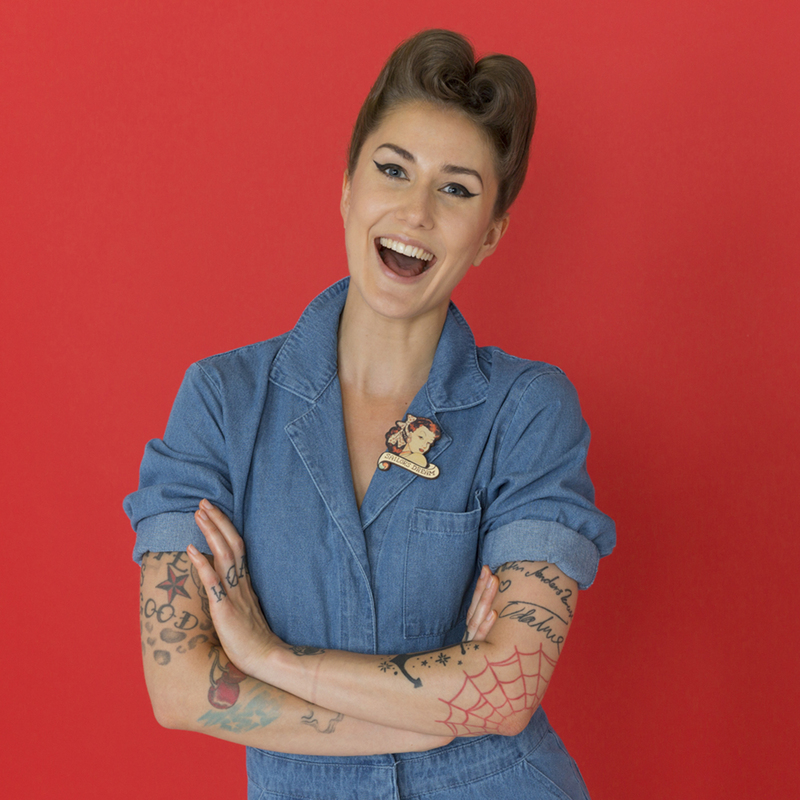 Jewellery brand Tatty Devine have designed a necklace and brooch inspired by iconic tattoo artist Jessie Knight. 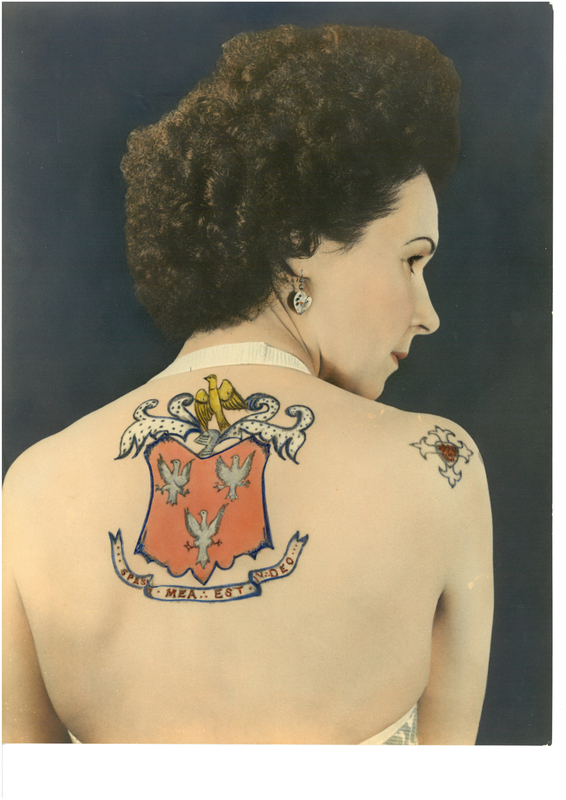 Knight, a South Wales native, was the first recorded female tattoo in Britain and celebrated for her unique bold aesthetic and contribution to the art form. 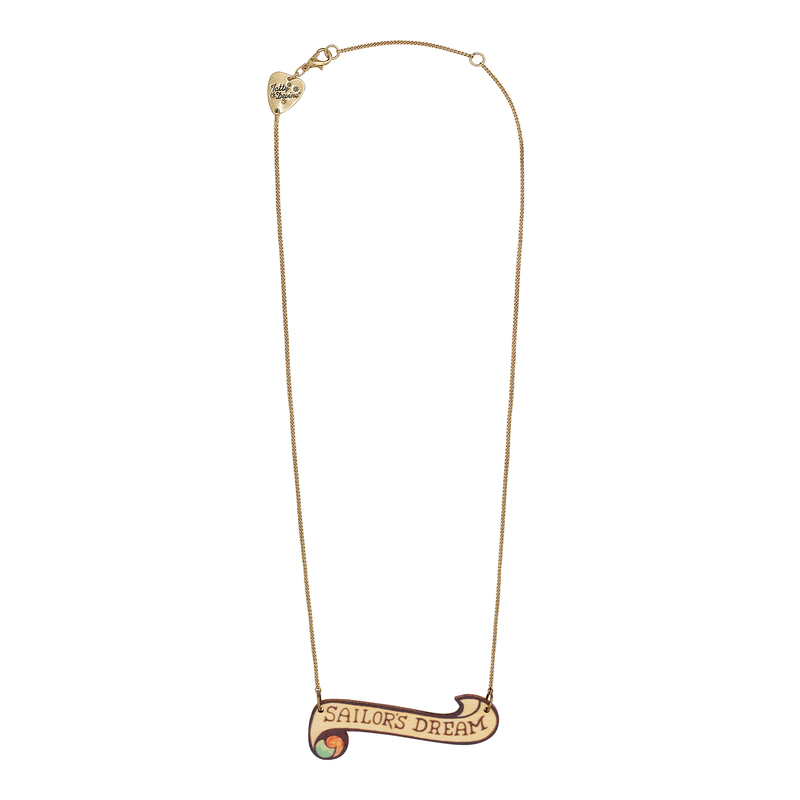 The two pieces by Tatty Devine are made from birch wood with digital prints of Knight’s original drawings. 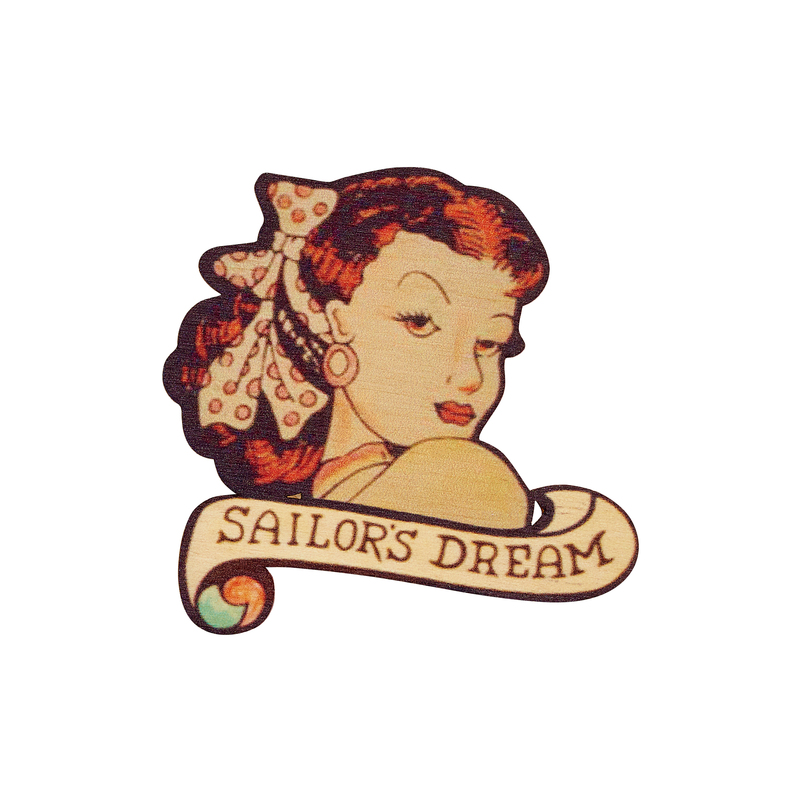 These pieces were created for the Tattoo: British Tattoo Art Revealed, and exhibition at the National Maritime Museum in Falmouth, Cornwall, till January 2018.